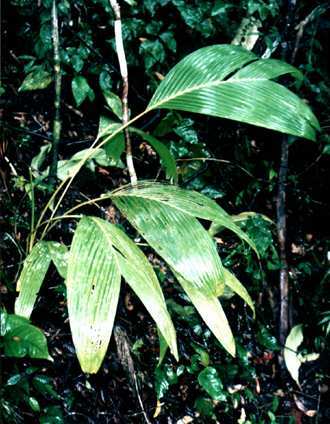 Description: -Photograph shows distinctive white vain in juvenile leaf. Large Hydriastele coming from 600+m altitude this species should be some what cold tolerate likes rich soil and regular watering. Growing Climate: -Temperatures from 4.C to 30.C.